Where does UCT's bandwidth come from? UCT buys its internet bandwidth via TENET (Tertiary Education and Research Network of South Africa), a body that supplies internet and related services to higher education institutions in South Africa. 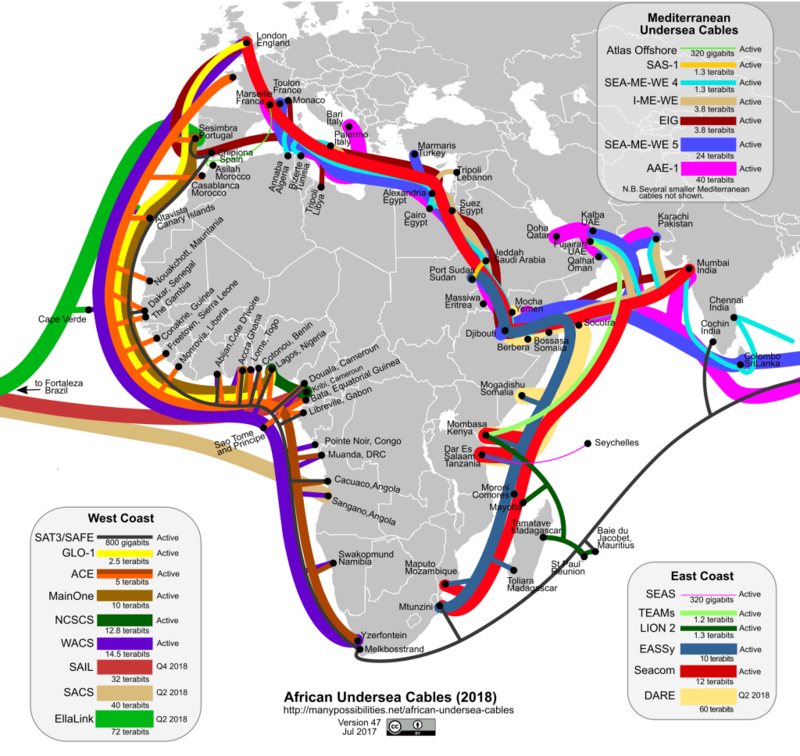 Within this framework, UCT's international bandwidth travels via two main underwater cable routes: the West Africa Cable System (WACS) and SEACOM. UCT spends large amounts of money buying internet bandwidth - which is relatively expensive in South Africa. And with the internet being so central to the way we work, study and live today, the demand for bandwidth continues to grow. At UCT, the constant challenge is to manage this shared resource so that it can be used to efficiently support teaching, research and learning, and provide all UCT stakeholders with fair and equitable access. To do this, ICTS employs bandwidth management techniques to analyse, control and prioritise UCT's internet bandwidth. This provides better support for academic and administrative requirements and aligns internet usage with UCT's core business needs. Please use bandwidth responsibly and in moderation. You are bound by the UCT policy and rules on internet and email use and should use the internet primarily for study, research and work-related purposes. UCT employs bandwidth reporting to record all internet traffic (including UCT-related sites, educational and research-related resources). Access the bandwidth reporting site at https://bandwidth.uct.ac.za. Log on using your UCT username (WF\username) and network password. The report shows you what kinds of sites you've visited and each category's use in proportion to your overall traffic. Note that while UCT monitors internet usage, it protects your individual right to privacy. This means that volume - not content - is reported on. How can I check how much bandwidth I’ve used? Is there a limit to how much bandwidth I can use per month?